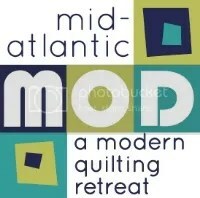 The Central Jersey guild is having a very informal guild retreat and we’d love it if some of your members can join us. It’s 3 days of open sewing fun. We have room for a total of 20 guests (obviously our guild took up a bunch of the spots). The sewing room will be open 24hrs for sewing whenever meets your fancy. No food is included, but the hotel serves breakfast (free if you stay there) and light dinner fare and bringing your own snacks and drinks is totally permitted.